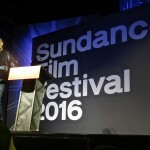 Diversity was the prevailing theme during the Sundance Film Festival 2016 press conference due in large part to the Oscar’s lack thereof. 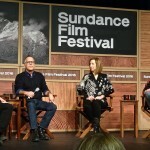 Sundance Institute Executive Director Keri Putnam and Festival Director John Cooper joined on stage and in sentiment, Founder Robert Redford who tried to detract others from letting the issue get in the way of the Film Festival’s celebration of independent film. Added that, was just the nature of Sundance’s mission and independent films, in themselves, that lead to a wide range of cinema. Redford added that sometimes it just means the art doesn’t get the recognition it deserves but the product should speak for itself. 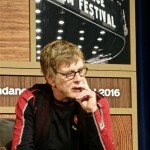 Redford affectionately called the Sundance Kid created the aptly named Festival as a platform for independent film-makers. Giving a voice and vehicle, to collaborate, network and sell films that otherwise would never have had a chance to be seen by an audience. But those visions in celluloid first need to get made and there’s where Kickstarter who had a major presence on Main Street, Park City during the 2016 festival has changed the face of how creative products can go from an idea to a reality. The super crowd funding platform thats ‘mission is to help bring creative projects to life’ has an enormous community with over 10 million people, from all over the globe that have funded a myriad of Kickstarter projects from products, to film, to music, to literature to design and beyond. 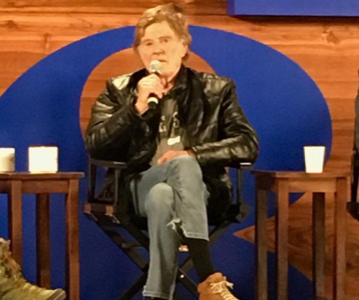 One of the strongest film categories at the Festival — the Documentary — has seen a huge spike in its interest over the last several years and is one of Robert Redford’s personal favorite genres. It just so happens that his son, James Redford is a documentary filmmaker of note and kicked off this year’s Festival with the premier of his newest; Resilience. The engaging and informative doc shows how the causes of devastating medical conditions like cancer and heart disease could be due to ‘Adverse Childhood Experiences’, also known as ACEs and the list includes all types of abuse from mental to physical. The stunning film is a powerful narrative on how a simple survey identifies a person’s ‘toxic stress”, to help monitor the subject for possible disease averting a possible public health crisis. Katie Couric and filmmaker Stephanie Soechtig’s threw a VIP premier party with special guest Donna Karan, at the Toyota Music Lodge for their newest documentary; Under The Gun. This not-to-be-missed film deals with the extremely important issue of gun violence versus second amendment rights.Over the last decade, a rise in the number of mass shootings has plagued America in epidemic proportions. Despite a massive number of deaths and injuries from gunshot wounds, the United States has done little to solve the problem. What has kept both sides of the aisle from finding common ground and enacting tougher laws has been a burning question that is explored in this powerful comprehensive and fair to both sides doc, that tackles one of the most polarizing issues in US history. Director Spike Lee’s Michael Jackson’s Journey from Motown to Off the Wall is an inspiringassemblage of film that includes interviews with some of today’s top talent, family members, archival footage and Michael’s own words creating an insightful chronicle of young Jackson’s rise to fame. The documentary takes an in-depth look at a part of Michael’s life as he gets his start at Motown, transitions to CBS records, develops a strong rapport with legendary producer Quincy Jones and became the “King of Pop”. Not to be missed for Jackson and music fans. HBO’s Nothing Left Unsaid is the must see story of Gloria Vanderbilt, explored through the eyes of her son, CNN correspondent Anderson Cooper and masterfully edited by Liz Garbus using archival footage that tells the story of an emotionally complicated life. Vanderbilt’s life of privilege, her loves, devastating losses and survival are poignantly recounted by the 91-year-old heiress. Vanderbilt provides her rich history of growing up within a wealthy yet tragic American family as her youngest son Cooper questions the ‘poor little rich girl’ about her complex public and private experiences. As a child, raised by her nurse Gloria became the focal point of a highly publicized custody battle, later traveled to Hollywood pursuing an an acting career and marrying an older man from whom she divorced. Gloria eventually found herself dating a series of famous suitors remarried and centered her life around family, a successful fashion business and a quiet passion for painting which she still enjoys today. 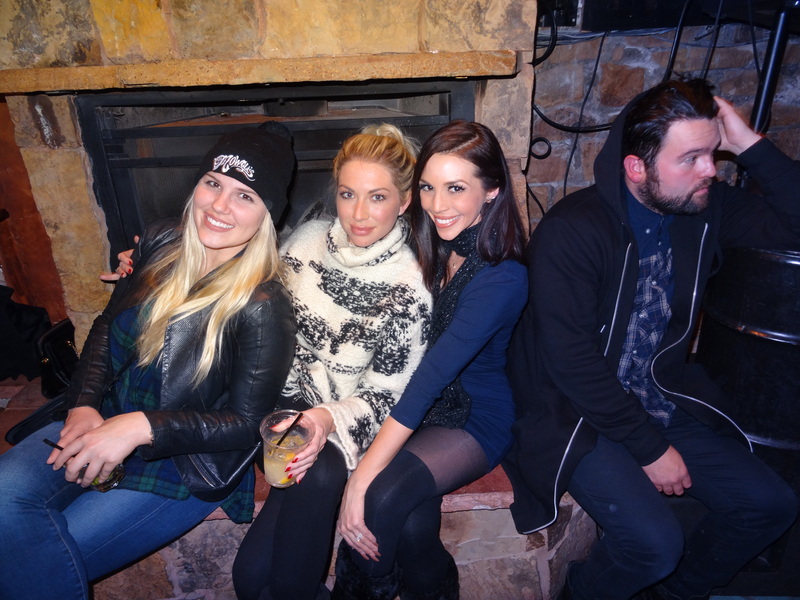 Oscar nominated director Richard Linklater hosted a sumptuous dinner party above Main Street in Park City to introduce a film not made by him but about him aptly titled, ‘Dream Is Destiny’. In the insightful documentary directed by his friends Louis Black and Karen Bernstein, to whom he couldn’t say no to, Linklater opens up about his desire to create movies outside the Hollywood system that eventually led to his industry recognition. The doc also platforms his innate ability to produce realistic characters and tell authentic stories that invite the audience to take notice and sing his praises. An excellent account of a passion well executed sheds light on one of America’s true visionary filmmakers and gives the audience a ringside seat into his journey from a small-town Texas boy to his monumental success in the awards arena. Chelsea Handler and Morgan Spurlock discussed their newest projects during the Times Talks series held at Cinema Cafe in the the Filmakers Lodge during Sundance2016. Invigorating the culture of conversation these two highly charged and accomplished individuals discussed the passions that led them to major successes. Handler’s over sexed and comedic delivery about personally relevant subjects is played out in her most current venture, Chelsea Does seen on Netflix. Spurlock premiering his latest documentary Eagle Huntress delights the audience by taking on broader social issues done with brilliant story-telling and outstanding wit that is both informative and entertaining. The uproariously funny Chelsea Does is a four-part documentary series from Netflix starring talk show host, stand-up comedian and best-selling author, Chelsea Handler who explores the topics of personal interest that include marriage, racism, drugs, and Silicon Valley. Handler brings her special brand of humor and unfiltered opinions with her as she challenges her subjects wholeheartedly. Directed by Academy Award–nominated Eddie Schmidt and executive produced by Handler with Academy Award–winning director Morgan Neville, the premier installment deals with wedlock and Handler stealthily investigates the subject matter, making sure to get all the answers. One of this year’s favorite documentaries is Executive Producer Morgan Spurlock and Director Otto Bell’s, Eagle Huntress, which features breathtaking cinematography and tells the story of Aisholpan, a 13-year-old female eagle hunter from Mongolia where for over 2,000 years, the Kazakh people of the Altai region have practiced the strictly male tradition of hunting with golden eagles. After years of helping her father take care of the birds and with his support, Aisholpan learns all aspects of falconry, from capturing and taming her very own eagle to training for an annual competition where she will compete against 70 eagle hunters on her quest to gain acceptance. This film not only examines a young girl trying to pursue her dream and break through gender boundaries in her culture but also how the community balances their traditional way of life with the contemporary world. Nick Jonas who stars in the shocking coming of age film Goat, together with cast and filmmakers walked their Sundance 2106 Red Carpet with enthusiastic anticipation. The story directed by Andrew Neel, centers around the Jonas’ character’s 19-year-old brother played by Ben Schnetzer who enrolls in the same college attended by his sibling and pledges to his exact fraternity. Caught up in the world of mega partying Schnetzer’s character goes through the hazing process which escalates in the name of “brotherhood,” testing his loyalty in brutal ways. The film’s end result shows off the violent side of the male culture that seems under control but in fact rears its ugly head throughout society. Riley Keough who plays Sarah, a suburban house-wife and mother in the movie Lovesong byfilmmaker So Yong Kim, feels abandoned by her business traveling husband. Enters old friend Mindy played by Jena Malone who comes for a visit but after an alcohol-infused intimate encounter, there emerges a strong emotional bond. Sarah is unable to express her feelings of attraction to Mindy which results in Mindy leaving abruptly. Reunited for Mindy’s wedding Sarah divulges the reality of her feelings but is it too little too late? A good film to see if one enjoys communication with more gesturing than dialogue, emotional interludes and relationships that cross conventional boundaries. 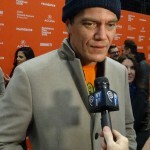 Complete Unknown, director and co-writer Joshua Marston with an outstanding ensemble cast (including Kathy Bates, Danny Glover and Michael Chernus) returns with another fascinating character study that tells the tale of a seemingly happily married man, Tom portrayed by Michael Shannon who’s wife played by Azita Ghanizada, hosts him a birthday dinner-party. One of their friends is accompanied by an intriguing woman played by Rachel Weisz who Tom is convinced he knows, but she declines to acknowledge their past connection but begins to open up to the guests about her ever changing personas. Upon his insistence of their converging past Weisz acknowledges then makes a rapid departure and Marston’s character follows close behind. In the night-scape of NYC they create a whole new story about themselves to those they encounter, while one explores the need to make a change and the other questioning how to stop. For those who enjoy psychological intrigue and character angst this film will hit the spot. The Blackhouse Foundation and WGN America celebrated executive producer John Legend’s‘Underground’ along with cast members Jurnee Smollett-Bell, Aldis Hodge, Jessica de Gouw, and Alano Miller during Sundance 2016. A groundbreaking TV series that depicts the plight of US slaves in the South that journeyed by way of the Underground Railroad to freedom in the North. One of the cleverest mass escapes ever pulled off was fueled by the human spirit’s need to be free from oppression and will be available for audiences to view Wednesday evenings on WGN America. The must see series portrays a blacksmith, Noah (Aldis Hodge) as he rouses a determined group of slaves to assist with their master escape plan to freedom and persevere to make history. The Birth of a Nation, directed, written and produced by mega talented Nate Parker who also stars as Nat Turner the African-American slave that led a rebellion in Virginia against slavery in 1831 premiered at Sundance 2016. A chilling recount that also features Armie Hammer, Aja Naomi King, Jackie Earle Haley, Penelope Ann Miller and Gabrielle Union tells the tale of Turner — a preacher who leads his fellow slaves on a deadly rampage where 60 white people died, sending a shockwave of violent retaliation across the US decades before the abolition of slavery in America. 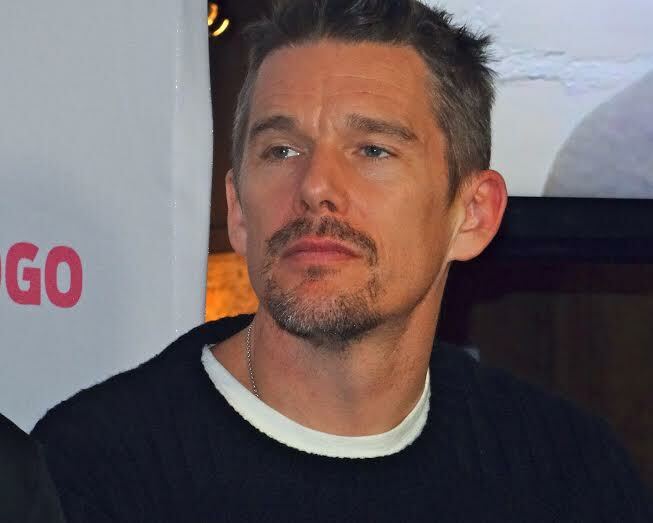 Ultimately $10 million dollars was raised as a production budget and began filming in May of 2015 in Georgia. After the film’s Sundance premiere, an all night bidding war between Fox Searchlight Pictures, Harvey Weinstein and Netflix ensued, which ended with Fox winning a $17.5 million dollar deal for worldwide rights — in the largest deal Sundance has seen to date by about 7 million dollars. During the closing night awards the coveted film won the Audience Award and Grand Jury Prize in the U.S. Dramatic Competition. Do Not Miss! 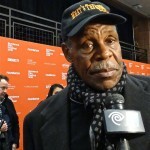 For more information and award winners visit www.sundance.org.